Creating accounts is possible via the url /access/signup. If you are running your own labfolder server, the signup URL is /access/signup, for the labfolder cloud, the signup page is eln.labfolder.com/access/signup. These information can be edited any time from the labfolder profile page. Teamwork in labfolder is organized in Groups, which are client-separated spaces in which information can be shared among all members of the group. Groups can be created at the labfolder Groups Page, with the creator of the group being the initial administrator of the group. Administrators of a group can invite new members by submitting their email address in the invitation dialogue. Please note that the invitation email address must match the address of the invited user in the labfolder database. If the user cannot be found in the database, an invitation mail is sent to the invitee mail address. 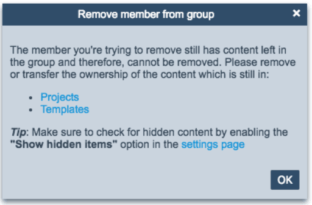 Group memberships allow users to read and contribute to content within a group. Users have a read-only access with respect to the data of other users and can thus never overwrite or delete the data of other users. Members of a group can leave a group either by themselves, or they can be removed from the group by an administrator. When leaving a group, the ownership of all content (i.e. the possibility to share content with others) has to be transferred to another person. This can be done by the user himself or by one of the group administrators. New owners cannot edit the content from other members post hoc, but do have the possibility to share it with others. 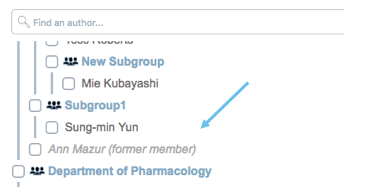 The original authorship of former group members will be retained, and former members are fully searchable via the notebook filter as long as their data is contained in a group. They do, however, no longer have access to the data and do not consume any licenses. In the labfolder SaaS Edition, storage quota per is 3 GB for free accounts and 300 GB for licensed accounts. On local servers or on private clouds, the user storage can be set by the IT Admin. When reaching the quota limits, users will not be able to upload files any more. In this situation, writing text will not affect user quota. Users will receive a warning when reaching and exceeding quota. labfolder local servers and private clouds have the possibility to connect an LDAP server for authentication, Active Directory and OpenLDAP are currently supported. The connection of an LDAP server will make it possible to sign up or log on to labfolder only if the user exists in the directory of the LDAP server and the submitted password matches the one stored in the directory. Thus, labfolder performs a simple bind to validate access and signup, no accounts or groups are created by connecting the LDAP server. For the bulk creation of users, automated methods can be used (see below). labfolder servers expose an API that allow the bulk creation of users via automated methods. When automatically registering users via the API, a password with minimum 8 characters length has to be set. Users which have been registered on behalf of their organization can request a password request via if applicable. Additionally, users can be invited to groups in bulk on the database level by IT Admins. Do you have further questions about labfolder’s User Management? Contact us! Our experts are happy to personally help you at any time.